District 21 – May 2010 – Lincoln Nebraska A.A.
Secretary’s Report (Matt S.):Approved as read. Special events- $764.73. Fliers for 4th of July picnic are out, looking for help at the picnic. Corrections-City county jail has new policy for AA volunteers working with inmates outside the facility. See Joe Goecke for more details. Rainbow group looking to see if changes can be made to meeting list more clearly identifying handicap accessibility. Discussion on who can fund interpreter in other groups since cafeteria cannot do it. Seeking Solutions (Amy Z. ): Attendance good. 80-90. Spiritual Actions (Emily S.): Gone. Sufficient Substitute (Sam R.): Attendance steady with old timers and newcomers. Quite a bit of input for districts. Still looking for alternate GSR and will vote in May. Women’s Circle of Friends (Jennifer R.): Speaker last Saturday of the month. Attendance steady, many newcomers. 11th Step Group (Reni B. ): Gone. Cafeteria Group (Tom B. ): Plenty of newcomers, nothing new. Practical Applications (Brian D.): Meeting made it to the new meeting list, and now location will change. Grace Chapel, Berean Church, or one other location are possible options. Young People’s (Carie S.): Some more elections. New secretary Casey, new treasurer Joel. Free raffle at the end of the month like previously done. Moved prudent reserve up to $200. Thursday Night 6:30 Trabert Hall Meeting (Abraham): Got threatened to be turned into area for not following “AA Way”. Approximately 4 members. a. Prudent reserve. Motion-We make a prudent reserve for District 21 $150. Passed. b. Rent will be paid monthly. c. Sufficient Substitute has these comments about District 21: As a district we have failed our groups. We’ve failed to be accountable to the groups. Placed personalities before principles in the treasury issues on not holding previous treasurer accountable. They believe district 21 kept secrets about treasury issues. 2. District 21 Workshop planning. Tabled for second month in a row due to funding. Treasurer says not opposed to workshop with finances. Discussion about how to proceed. Pat said it takes 4-5 months to plan workshop. 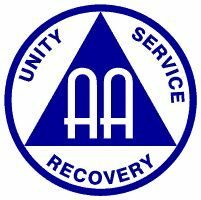 Motion made for workshop on October 9th at 1pm, with a topic of progression in AA. Motion passed. 3. Special needs discussion. Each District 21 meeting should take a look at our facilities to see if we are handicapped accessible and double check the meeting list to make sure this information is up-to-date. There is some question about what “handicapped accessible” denoted on the meeting list means. Hearing impaired meetings are denoted in the meeting list. Cafeteria group removed themselves from being noted as hearing impaired in the meeting list. Will ask if any AA members knows how to sign for the hearing impaired.